When you're in the North part of Lake Tahoe, which would be Tahoe City, Truckee, Carnelian Bay or Incline Village, you have to make sure you pick a coffee house that has a south view of the lake. When you're on the south shore, you will want a view of the people. The passerby's are so wonderful to stare at, and since there aren't any Lake Tahoe coffee shops right on the lake, you'll want to see the crowds go by. 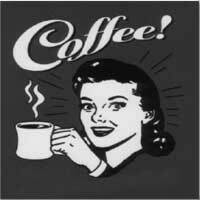 Many have internet, so if you're a wifi - caffeine addict. Come on in for a cup of "Joe". Grab an espresso or a latte before every activity. You can sleep when you get home! Here are some famous cafes in Lake Tahoe know for their brew.